Glitter and sparkles swept America by storm the other weekend! Or at least some coffee shops, as Starbucks released its limited edition Unicorn Frappuccino (UF). People were sipping on blue and pink concoctions all over the place, and everyone had an opinion. 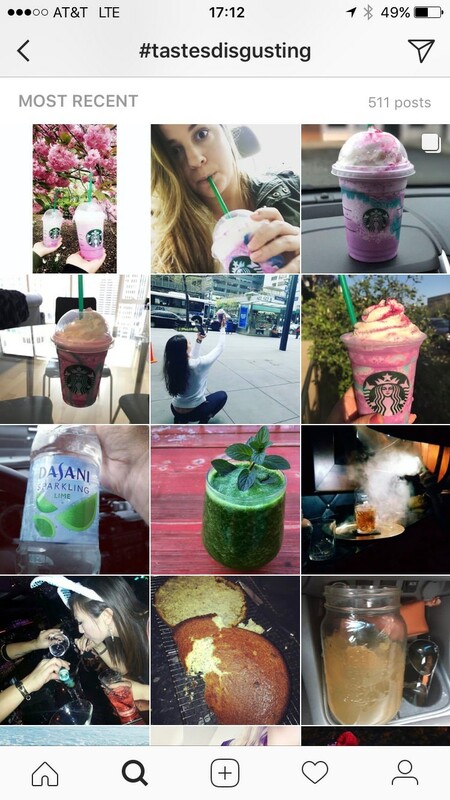 Not everyone liked it — the top posts on Instagram with #tastesdisgusting were all UFs. As a product manager, I wanted to know — was the UF a success? I entered down the rabbit hole of user research as I so often do, and have found a case where marketing and product collaborated so seamlessly that we should all be envious. At the same time, you could also look at this as a very different sort of MVP — a brand experiment, as it were. As usual, there were quite a few lessons to bring back to the product world. The UF was only available for five days in limited quantities. By being scarce, it created a sense of urgency and made the frequency with which you saw the product higher than what you might see for normal consumption. The sense of urgency got people to open their wallets. Many told me: “I didn’t really want a frappuccino, but I wanted to try one of these.” If they didn’t buy today, they weren’t going to get one. This effect went beyond Starbucks’ regulars. 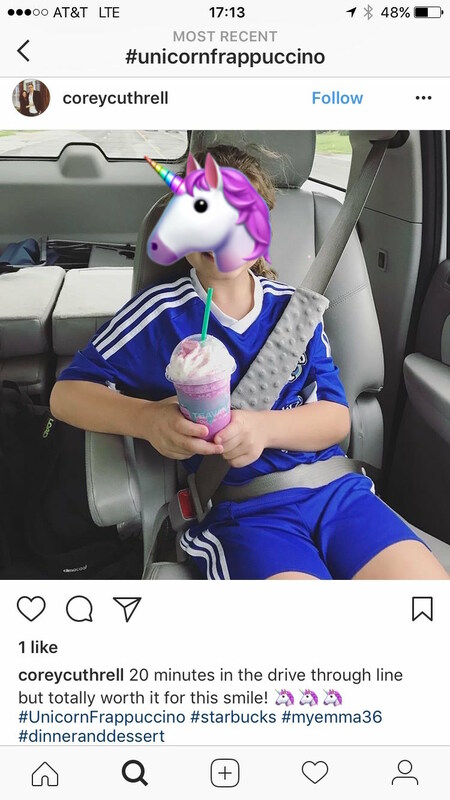 Meredith, a clinical researcher, explained that she almost never goes to Starbucks but was so curious that she stopped by a store with her son on the way home from school. Because it was only for a few days, she didn’t have the choice to try one on a vague future date. Beyond creating a sense of urgency, the short time frame also concentrated media coverage of the UF. The buzz, rather than getting spread out over a week or two, was focused over a few days. If you have the same number of people drinking UFs over three days as you would over three weeks, you increase the UF sightings. This effect again increased the feeling of the UF being a huge hit. Once the word started spreading that stores were selling out, people became desperate to get their rainbow fix. @oceanslimebakery posted: “I had to go to three different Starbucks to get this!” Don’t we all wish we could have people going out of their way in pursuit of our product? I don’t think that the sheer number of UFs sold was Starbucks’ leading KPI for this product. I’d propose that their primary KPI was shares and exposure, and for that they did a marvelous job. Even The Guardian commented on how beautiful this thing looks on Instagram. I don’t know how many of these actually sold, but if you look at social media feeds it feels like millions. I ran into a group of first year college students sharing two UFs. “Well, all our friends were posting photos of them to Snapchat and saying they were gross. So we decided to try it.” The verdict? Gross, but great to Snap about how unimpressed they were with the taste. The social media friendliness of the product is one of the main features, if not the primary feature. Is it Good? Does it Matter? Talking to a few UF-drinkers in their mid 30s, the concern was less with the taste than with the brand. Jen observed: “It does make me think Starbucks is much more clued into the way the kids today think than I previously thought.” The same observations came from elsewhere – Dana explained that the adults get wine and cheese, the kids get super sweet sparkles. Adults think that this drink is designed for the kids market. But many of the kids didn’t think it was very good either. Plenty of adults both on Instagram and in person thought it was “soooooo good”. And perhaps the divide it creates in terms of flavor and the way it’s perceived actually enhances the product – people feel strongly about it one way or the other, so they speak up more. More commentary, more posts, more discussion. 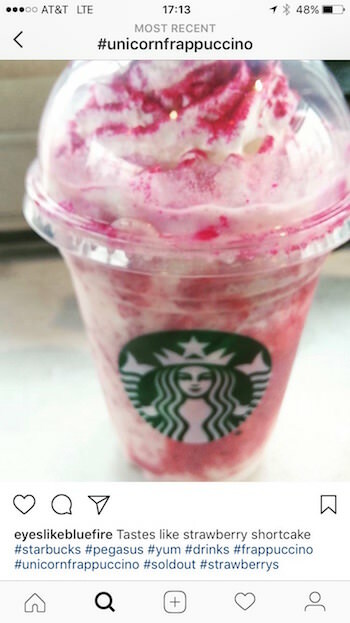 Ultimately Starbucks will probably see strong sales for April due to the Unicorn Frappuccino. It brought people into the store who hadn’t been there in a while, created a ton of free social media buzz, and Starbucks charged $5.50 for the Grande, making it a lucrative menu item. Was it a good product in terms of satisfying thirst or being delicious? I’m not sure that it matters. It depends on your product goals. It satisfied the user need of making UF drinkers feel part of a major conversation on social media. It satisfied the business goal of getting a ton of free marketing. No matter what, this was a strong collaboration between marketing and product for which Starbucks deserves great praise. It’s an interesting twist on the jobs to be done framework, where the job to be done is to get likes on Facebook. As product managers, it’s worth exploring how social media changes the products we design, and if we can build upon on this consumer habit to benefit our own products. This post originally appeared on Mind the Product.